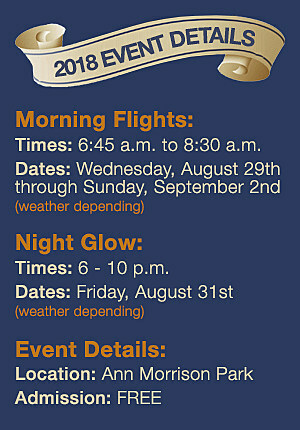 We're thrilled to welcome you to this year's Spirit of Boise Balloon Classic! Over 40 balloons and their pilots will take to Ann Morrison Park for five days of family-friendly entertainment. Fan-favorite balloons including Tick-Tock and Speedy will all be present, guaranteeing to brighten up the Boise sky with a colorful display. Here are the balloons you can expect to see at this year's Spirit of Boise Balloon Classic!